Salt and pepper steaks. Heat oil in a large heavy skillet over medium high heat. Add steaks and cook to desired doneness ( 4 - 5 minutes per side for medium-rare). Remove to heated platter. Discard excess grease from skillet and add garlic. Saute until barely brown. Add beef stock to pan and then brandy. Reduce by half. Add cream and stir until heated through. 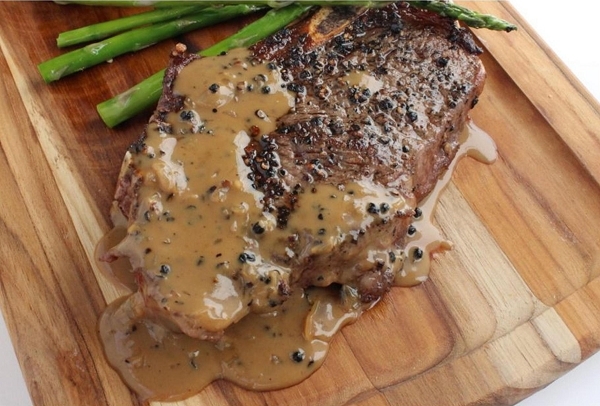 Pour over steaks and sprinkle with fresh ground pepper and serve with horseradish mashed potatoes.